With over 200 years of history and heritage in legal publishing, Sweet & Maxwell offers detailed and specialist knowledge, understanding, interpretation and commentary across a wide range of subjects. Our publications use a variety of formats to meet customers' needs including books, journals, eBooks, periodicals, looseleafs, CD-ROMs, eBooks and online services. Sweet & Maxwell’s print catalogue is one of the most comprehensive and distinguished in the world today. Building on authoritative titles such The White Book and Archbold, while Westlaw UK and Lawtel are two of the world's most trusted online legal resources. In the regulatory and advisory field, we provide high quality regulatory print and online products under the renowned IDS brand. Edinburgh-based publisher of an unrivalled collection of books, periodicals, encyclopaedias and digital products on Scots law. 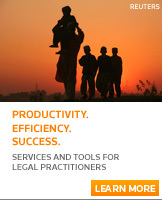 Formed in 1980 and now established as the legal Irish legal publisher, employing around 25 staff in its Dublin office. Incomes Data Services is a research organisation providing information and analysis on employment law, diversity, pay and reward, HR and pensions. One of Asia-Pacific's foremost providers of professional information to the legal, accountancy and regulatory markets in Hong Kong, Japan, Korea and Taiwan. Based in Maastricht, Netherlands, ELLIS Publications has established itself as a global leader in EU law, providing up-to-date, fully-integrated and cross-referenced EU legal materials in a variety of languages and formats. The Legal Division of Thomson Reuters (Professional) UK Limited (Company No.Z7602050 Registered in England & Wales. Registered Office and address for service: Friars House, 160 Blackfriars Road, Southwark, London SE1 8EZ) trades using various trading names, of which a list is posted above, and is part of Thomson Reuters .